People have used Bath’s thermal springs for at least 2,000 years, with the city’s Roman Baths topped up with 1.2 million litres of hot water flowing daily from hot springs. Since the 1980s, however, bathing has not been permitted and the majority of the hot water has, literally, gone down the drain. This is set to change over the next 12 months, when the neighbouring 16th-century Bath Abbey starts employing hot spring water to provide heat for its 420,000 annual visitors and 600-strong congregation. The Roman Great Drain, carrying 45°C spring water from the baths to the River Avon, passes close to Bath Abbey. 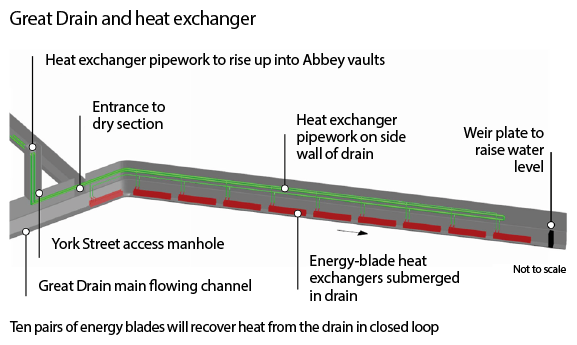 The plan is to capture energy from the hot water in the drain, using heat exchangers, before boosting the temperature with heat pumps located in an expanded plantroom in a basement vault within the Abbey. An urgent need to replace the ancient building’s precarious flooring created the opportunity to install underfloor heating. More than 8,500 burials have significantly weakened the floor structure, so – in 2010 – the Abbey launched its Footprint Project to repair it, install a low energy heating system and create new meeting, catering and toilet facilities. There will also be a Discovery Centre, telling the story of the Abbey. Existing heating was also at the end of its useful life. Cast-iron pipework and gratings are more than 150 years old, and there were comfort issues caused by excessive cold downdraught from the huge areas of glazing in the Abbey (see diagram). with supplemental trench heating for colder days. Underfloor heating is ideal for connecting to ‘low grade’ alternative energy sources; it’s able to operate efficiently at lower temperatures and would provide beneficial radiant heating to the low-level occupied zone in the large-volume Abbey space. 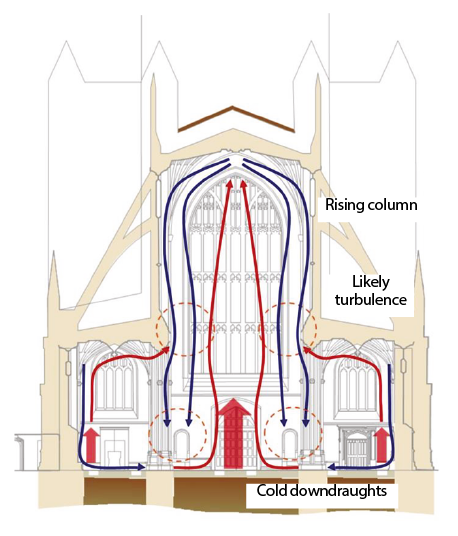 Dynamic thermal modelling and computational fluid dynamic studies of the whole Abbey space allowed the design to be refined – particularly, confirming the nave trench-heating realignment from directly below the side windows to the centre, to reduce large-scale convective currents. The air velocity of the new design will be much lower and the radiant heating will be uniform. The coordination of the underfloor heating build-up and trenches was necessary because of the layers of burials and archaeology, which have formed over time. The heating design has had to be refined during construction as new discoveries are made. 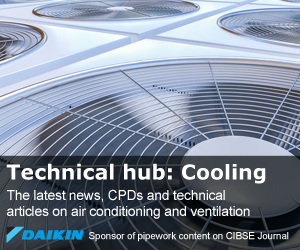 It is envisaged that the underfloor heating will be on 24 hours a day from October to March. The restored flooring will be covered with the original 6in-thick ledger stones (inscribed slabs marking burials) laid over the screed, which means it will have a large mass to hold heat. While the spring water is great for bathing, it is difficult to use technically because of its high mineral and silt content, dissolved oxygen and risks of corrosion, as well as health risks from ‘pathogenic amoeba’. So it was decided to opt for a closed-loop heat exchanger, whereby the heat is transferred from the hot spring water to a closed water loop via heat exchangers placed in the flow of a Roman drain. This carries spring water at 14 litres per second from its source at the Roman baths to the River Avon. 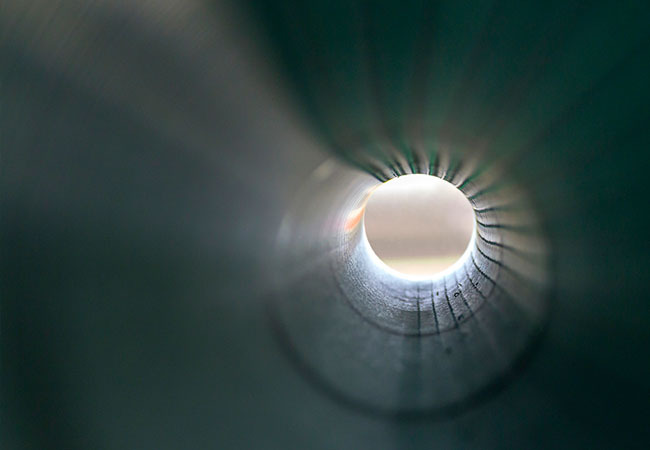 The closed-loop solution will use energy-blade stainless steel heat exchangers, submerged in pairs in series along the length of the drain, to extract 160kW of energy. The heat exchangers will supply water at the 25°C required by the Abbey electric heat pumps, which will raise the temperature to 50-55°C. This is suitable for underfloor heating in the heating season and trench heating during milder weather. 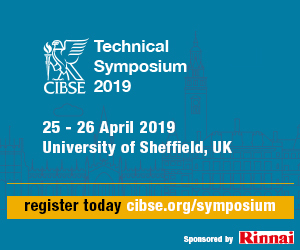 Conventional gas-fired boilers will supply water to the trenches at 80-85°C during cold weather, and offer back-up to the heat recovery system. 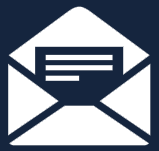 Numerous trials, investigations and mock-ups have been carried out in the Great Drain. Any works are a challenge because of approvals, difficult access, confined space, and a high temperature and humidity environment. Before access, the drain has to be vented to the atmosphere to release any build-up of heat, humidity and gas. One important consideration is that the water flow in the Great Drain is only 150-200mm deep. 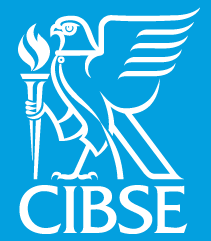 So a key series of investigations during the design stage involved the study of water flows and temperature; the installation of a mock-up pair of heat exchangers; and the installation of a mock-up weir to raise the water level in the drain sufficiently to submerge the heat exchangers while not flooding the upstream Roman Baths. Testing was done in the winter, when river levels were high. The river backed up the drain, and there was some dilution of the hot spring water in the drain, but without impact on the energy blades. Because of the amount of silt in the spring water, the weir had to be designed to avoid the build-up of mud, and the final design allows for both overflow and underflow. 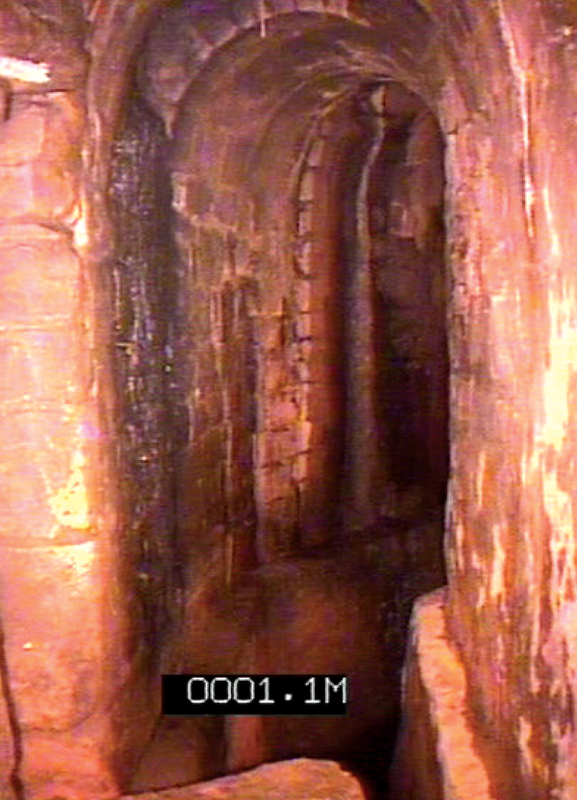 The site chosen for the energy blades was in a straight section of drain, around 1.8m high, that offers access via York Street. 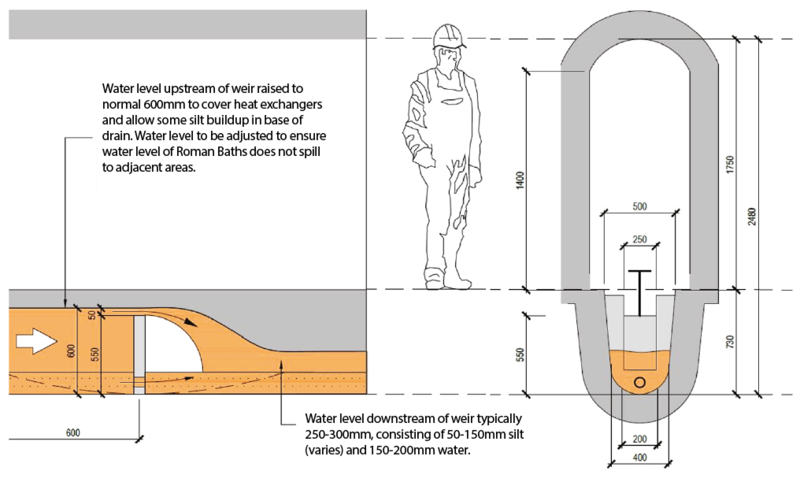 The drain at this point has a raised walkway ledge running above the flow of the water, but because the drain is 7m below street level and difficult to access, maintenance engineers must have confined-space training and be lowered by tripod into the drain. At this point, the temperature of the water is 35-37°C and the extraction of the heat will cause it to drop by 5°C. The water is calculated to enter the Avon at 30°C (see map). 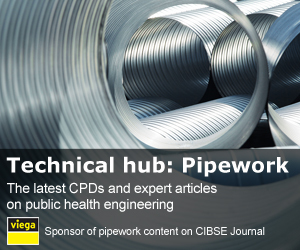 The pipework and fixings installed in the drain connecting up the energy blades will be in reverse return arrangement and will be made from stainless steel to prevent corrosion. Fixings must be kept to a minimum to avoid damaging the Georgian walls in the drain, and the pipework – while following the contours of the drain – must not protrude so far that it stops engineers from accessing the ledge running alongside the water. 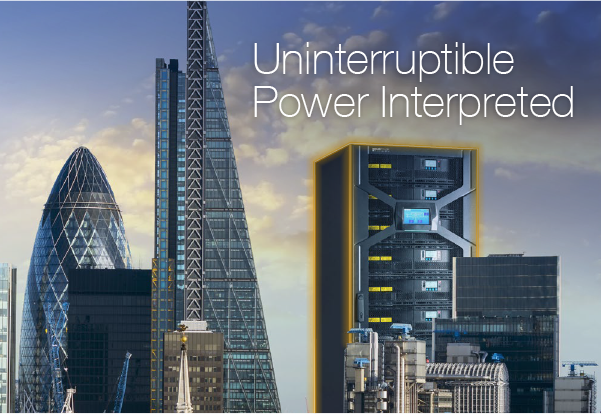 The project design started in earnest in 2010, and on site in summer 2018, and should be completed in 2020. Heat-recovery works in the drain should begin early this year, with heat recovery starting later in 2019 to allow for commissioning and fine-tuning. 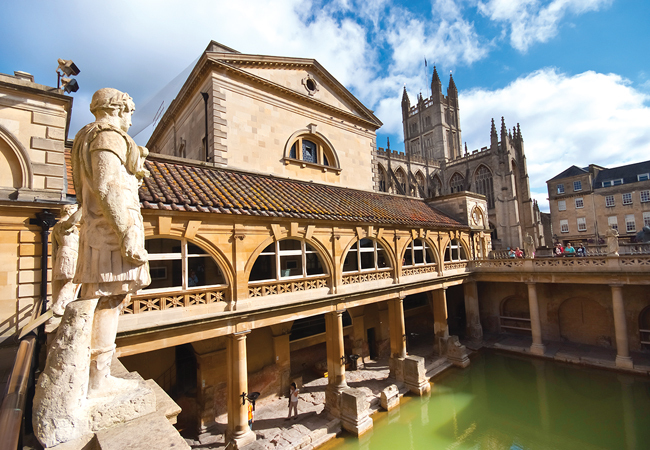 Calculations for heat recovery from the Great Drain took into account the fact that a similar system – also being worked on by BuroHappold – is being designed for the Roman Baths. The challenges are similar to the Abbey project, but with the added requirement that the steaming effect in the hot bath is not lost when heat is recovered from the spring. 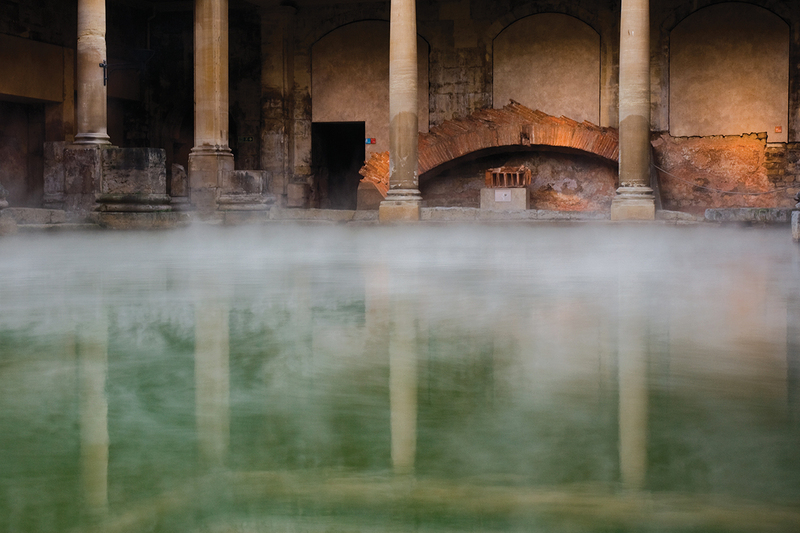 It is calculated that taking out 80kW of heat will supply buildings at the Roman Baths with background heating at night and some mid-season heating, while having a negligible visible effect on Bath’s world-famous steaming baths.